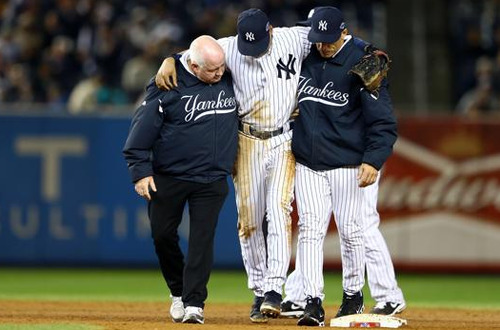 New York’s manager Joe Girardi said Jeter will need several months to recover, and that the Yankees need to “move on”. “His ankle is fractured, so we’re getting a robot. He’s out and we have plenty of money,” said Girardi. Girardi said he does expect the team captain to be back by next season, but believes that the 50 million dollar robot purchased by the New York Yankees late Saturday night will serve as a great replacement for the All Star shortstop with over 157 career postseason games under his belt. 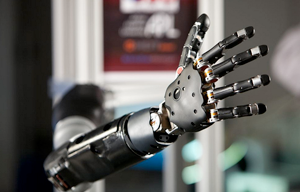 The Yankee’s newest million dollar robot goes by the name “David” and was developed by the Pentagon’s Defense Advanced Research Projects Agency (DARPA). The robot was originally suppose to be the most revolutionary invention for American’s with disabilities, but will now play back up shortstop for the New York Yankees. The Yankees are expected to sign “David” to a 50 million dollar deal on Monday.